The wide mouth square jar is convenient for scooping product out of a large container. The square shape is a space saving feature that makes this jar perfect for many uses. 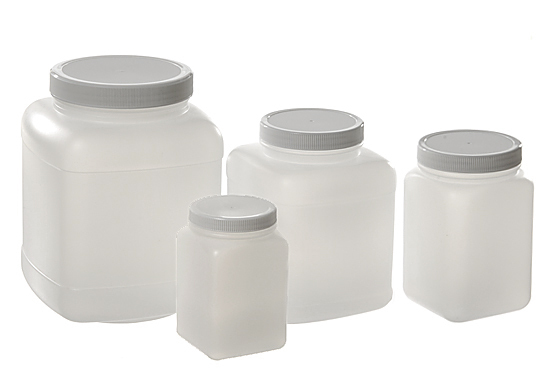 Jars include a white plastic cap.